It is always nice to have a simple positive holiday quote on a Christmas ornament. This ornament says, "Merry Christmas". Decorate your Christmas tree with this GCU Lopes Christmas tree ornament! Is collecting snowflakes for your holiday decor a necessity this year? Then you need this GCU Christmas snowflake ornament to add to your collection! Need a Christmas mug for you morning coffee/tea or your evening hot coco? Buy this 16 oz glossy grey exterior with GCU and a snowman with glossy white interior mug. Great to be festive during the holidays! Lopes Up! Decorate your Christmas tree with this GCU Lopes Christmas ornament! Adding this ornament to your Christmas tree this year will be the best way to show some holiday cheer! Decorate your Christmas tree with this wooden joy to the world GCU Christmas ornament! Adding this ornament to your Christmas tree this year will be the best way to show some holiday cheer! Go Lopes! Decorate your Christmas tree with this white GCU Christmas ornament! Adding this ornament to your Christmas tree this year will be the best way to show some holiday cheer! Decorate your Christmas tree with these purple and grey GCU Christmas snowflake ornaments! Adding these ornaments to your Christmas tree this year will be the best way to show some holiday cheer! 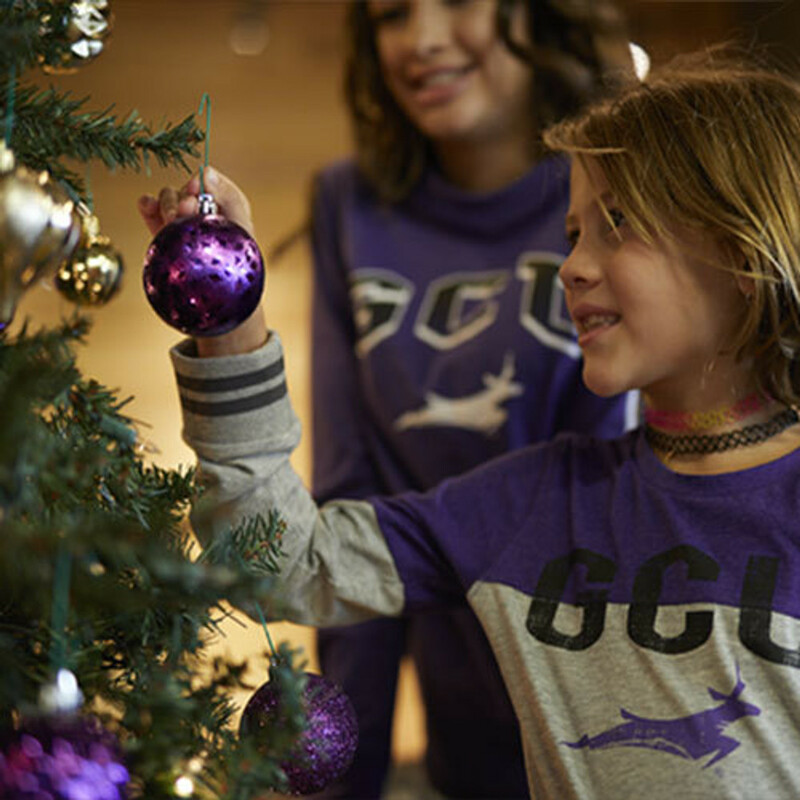 Decorate your Christmas tree with this purple GCU Christmas ornament! Adding this ornament to your Christmas tree this year will be the best way to show some holiday cheer! Decorate your Christmas tree with this GCU wreath Christmas ornament! Adding this ornament to your Christmas tree this year will be the best way to show some holiday cheer! Go Lopes! Is collecting snowmen for your holiday decor a necessity this year? Then you need this GCU Christmas snowman ornament to add to your collection!